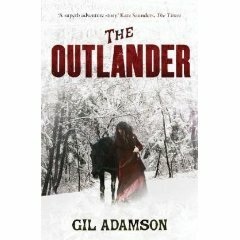 The Outlander by Gil Adamson – this novel has had so many raving reviews on book blogs (I think I first heard about it on dovegreyreader scribbles) and it seemed a steal for a pound. With recommendations by Ann Patchett and Michael Ondaatje, it must be good. Daphne by Justine Picardie – I love Daphne du Maurier and as it’s a mystery involving her and a secret about Branwell Brontë, how could I not get it? Fingersmith by Sarah Waters – see below. 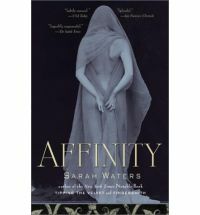 Affinity by Sarah Waters – also see below. The Dark Volume by G.W. Dahlquist – I loved his first book, The Glass Books of the Dream Eaters and have been meaning to read this for ages, so I can’t wait to start the sequel. 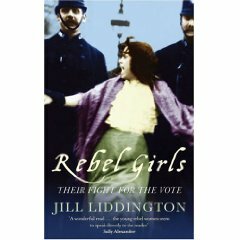 Rebel Girls: Their Fight for the Vote by Jill Liddington – about suffragettes, perfect for the Women Unbound Challenge. It looks like I’m on a bit of a Sarah Waters binge, and you aren’t wrong. I’ve been dying to read Affinity and when I spotted Fingersmith in the charity shop for a pound, I thought I’d give it another go as it seems it’s everyone’s favourite (mine is The Night Watch) and I wanted to see what I’ve missed. And it came signed too. Sweet! The Queen’s Gambit by Diane A.S. Stuckart – who can resist a mystery featuring Leonardo da Vinci? So what did you get this week? I completely understand your Sarah Waters binge. I’ve only read The Night Watch, but I have another 2 books of hers I’m dying to read that are currently on my shelf. I’m planning to spread her books out so I don’t run out of them too quickly. I hope you like Affinity. I think enough time has lapsed since I read The Night Watch so I can keep an open mind to reading her other books. But she’s a wonderful writer. I love her style and the easy way in which she envelopes her readers with her story. Seems fitting to have The Outlander blurbed by Ann Patchett and Michael Ondaatje; Gil Adamson’s novel has strong pacing like Patchett’s works and solid atmosphere like Ondaatje’s and strong characterization as both Patchett and Ondaatje draw as well. I quite enjoyed it. I can’t wait to read it, as I love Ann Patchett and Michael Ondaatje’s work. i’ve started on Cloud Atlas on the weekend but then found out that his first chapter was full of vocab i’d need to look up the dictionary all the time – and got diverted to Mieko Kawakami’s essays written in Osaka dialect titled そら頭はでかいです、世界がすこんと入ります cos i wanted to relax. she won the Akutagawa price for a novel, and is also singer. these freely written essays also made me ponder about the meaning of “nonsense”. will get back to Mitchel soon, though. Sometimes it’s just not the right time to read a particular book. But persist! Cloud Atlas is amazing. Also, I’ve just finished reading an Okamoto Kanoko story – you were right, she was in an anthology of Japanese women writers I’m currently dipping into, To Live and to Write. What an amazing woman! I haven’t heard of Anne Stevenson either. It’s nice to pick up a book on a whim by an author you’ve never heard of and find that it’s a gem. Looking forward to reading your post. Oh, Affinity and Fingersmith are both so brilliant! Fingersmith is my favourite, but The Night Watch is a not so distant second. Very curious about Daphne also. I loved Affinity, and while I was thinking it didn’t appeal to me as much as her other books I was pleasantly surprised by how much I enjoyed it! I also have The Outlander on hand, which I have heard many good things about! What’s your take on the current vogue to co-opt historical characters into crime fiction? Besides the da Vinci-as-a-sleuth instance you mention, I’ve come across Freud, Isaac Newton, Dante, … and not all the efforts have been felicitous. In some cases it appeared as though the author was so desperate to write historical crime fiction that he latched on to the first famous person of that period he could think of, possibly in the hope that name recognition would help to sell the book.. And often the author’s reimagining of the character doesn’t always mesh well with how the character really was, if you know what I mean. I can’t say I’ve been too happy with some of the crime novels using historical characters. I love historical crime fiction, but I prefer my historical characters to be on the side or incidental to the protagonist. Especially if it is someone whom you are familiar with and have read a lot about. I don’t mind if they pop up as a cameo, or if the mystery is about them or if they are on hand to help the sleuth. But not as the main detective unless you’ve done a lot of research. For example, I’ve read a lot of non-fiction about Newton, so I’m a little hesitant to read a crime novel in which he is the sleuth. Saying that, I’ve just got a novel in which Da Vinci is the detective (and I really like Da Vinci). So I’ll just have to see how convincing his portrayal is. I read some of your excellent reviews of euro-crime fiction. I hope you continue with them!